I'll be the first to admit that going to class doesn't always make the cut for being the most fun thing on my to-do list but it is very necessary nonetheless. At some big schools I feel like class attendance isn't a big deal and doesn't really effect your grade since there is no way that professors in large lecture halls will be able to distinguish who is in attendance and who isn't. At Furman however, and other smaller schools as well this is not the case. I only miss classes when I am sick or have a conference or excused event but never really just to skip (although there are definitely times where I've considered it, hello 8:30s). On those days especially it can be so hard to remain focused as your mind is wandering and you have so many other things that you would rather be doing. 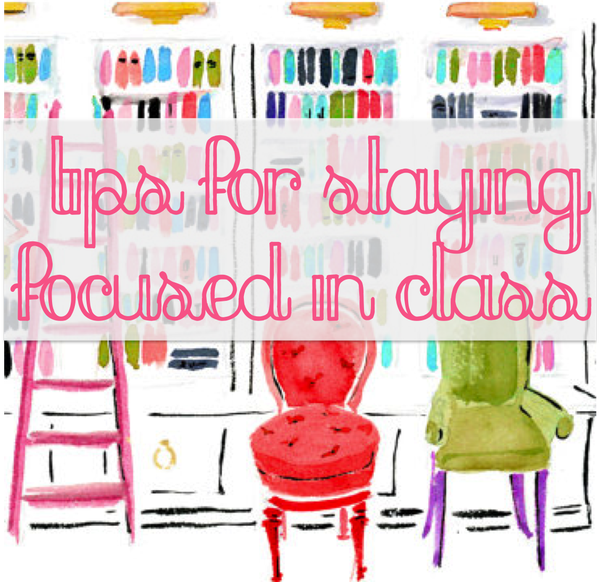 But you're wasting your time by going to class and not focusing so I've come up with some tips for how to better stay focused in class when you feel like you're especially struggling! So technically this isn't exactly what you can do to help you focus during your class time however a little preparation on the front end will make it a whole lot easier to stay engaged with the discussion. Nothing is worse than feeling like you are going to fall asleep in class or have your stomach rumble. I definitely think these basic things will help to make a world of difference when it comes to focusing in class. I find it super disrespectful when people's phones are going off in class or they are blatantly texting as the teacher is attempting to inform the class on information. Maybe that is the future teacher in me but regardless unless it is an emergency I think we can all make it through a 50 minute class without looking at our phones no matter how tempting it may be sometimes. Turning your phone off or on airplane more is a great way to eliminate your phone as a distraction! Another major distraction in classes: laptops. I know some people much prefer taking notes on their computer as opposed to by hand but if you have your computer out try to avoid the temptation of online shopping, checking your emails, pinterest, and looking at your favorite blogs (I promise I'll still be here after you finish class ;) kidding) during a lecture. It's hard to focus in class when you haven't come prepared! Bring your notebooks, folders, and any textbooks you may need so that you are already set up for success as class begins. If your teacher has you pull out your textbook you won't be stuck without it with your mind wandering and instead will be engaged in what is occurring in the class. The best way to stay busy in class is to take notes. Whenever class feels like it is going by slowly or I am having trouble focusing I take even more notes than normal. It also helps to pretend that one of your friends needs to borrow them in order to understand what the lecture discussed which tricks you into making them be more detailed and extra neat. As long as you aren't a smacker this is a great way to be multitasking in class in a way that actually helps you to focus. I've read that gum helps you relieve stress and better recall information not to forget to mention that it just tastes good. If you do find yourself distracted at least try to be productive and respectful while being distracted. A great way to do that is to organize your day and utilize your planner. I swear by mine and owe it my grade sometimes since it contains anything and everything I could have going on. I try to always carry water with me and in the mornings you can pretty much bet that I also have coffee in hand. While I am not sure if these actually help me to focus I'd like to think so since hydration is important. I'll let you be the judge of how helpful water and coffee actually are but for now I'll continue to believe so. If you're taking a class that you know is going to be challenging for you and you would really like to do well then sitting in the front of the classroom where you can make eye contact with your teacher and be engaged is a great way to attempt to help your grade. I know that it can be intimidating or seem a bit dorky but when you're making good grades and comprehending the information then the focus is well worth the location of your seat in class. If you have questions ask them! Teachers appreciate students who participate in discussions and have insight to share based on the readings that you've done for homework so don't be afraid to speak up. This will also help you to be more interested in the topics being discussed and therefore more focused! What are some of your best tips for staying focused in class? I'd love to know them! I found a new app called Forest that keeps me from being on my phone during class! It's super helpful! Sitting in the front is so important! I have to do that in each one of my classes, if I don't I get distracted by the other students! Also, the coffee/water thing is also very helpful. It gives you something to do! These tips are so great, Dorothy! I use my laptop in the majority of my classes but sometimes it's so hard to stay off of Pinterest! I will definitely be saving these tips! 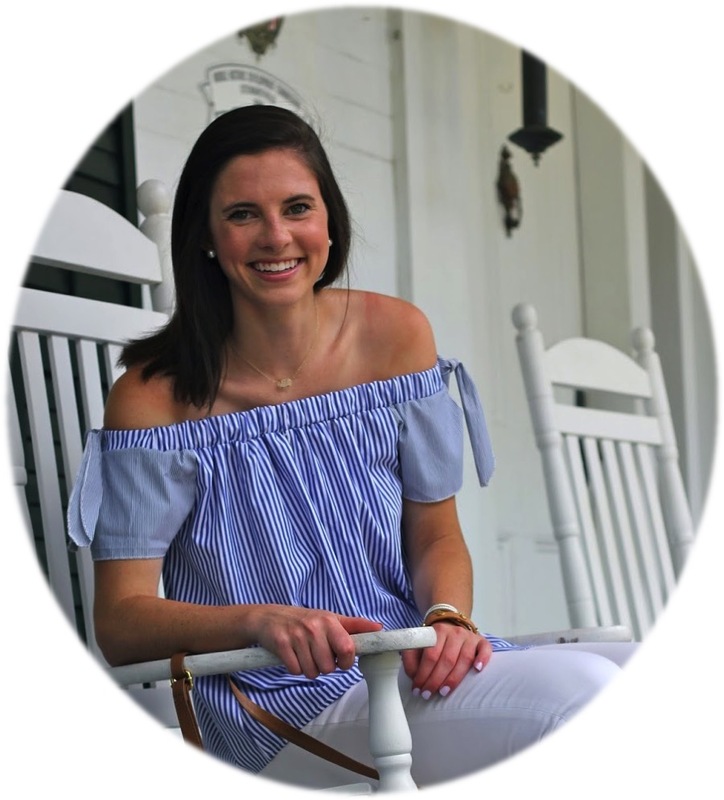 Lilly Sale Announcement, Sale Tips, and Giveaway!